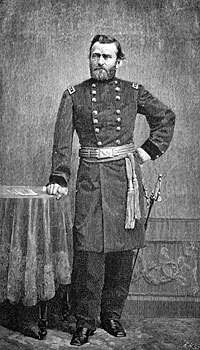 “Unconditional Surrender.” Union general who was a West Point graduate. 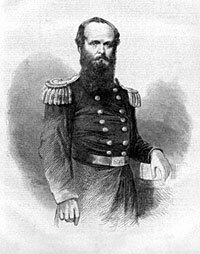 He reentered the Army with difficulty in Civil War, but after capture of Fort Donelson, he swiftly rose to command Army of Mississippi, leading it to the capture of Vicksburg [in July 1863]. 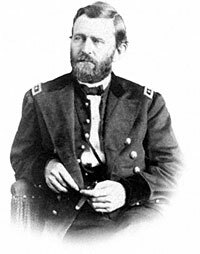 His occasional lapses into liquor were controlled by his wife and loyal lieutenants like John Rawlins and William T. Sherman. Loyal to his subordinates, straightforward and simple in his dealings with others, he was calm, stubborn and determined in battle. “Not expecting to see you again before the Spring campaign opens, I wish to express, in this way, my entire satisfaction with what you have done up to this time, so far as I understand it. The particulars of your plans I neither know, or seek to know. You are vigilant and self-reliant; and, pleased with this, I wish not to obtrude any constraints or restraints upon you. While I am very anxious that any great disaster, or the capture of our men in great numbers, shall be avoided. I know that these points are less likely to escape your attention than they would be mine. If there is anything wanting which is within my power to give, do not fail to let me know it. 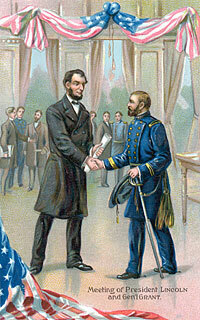 Grant moved his headquarters from the West to the East, where he and President Lincoln were in frequent contact. 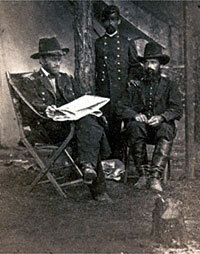 Calm and thoughtful, simple and direct, Grant collaborated with the nominal head of the Army of the Potomac, George Meade. 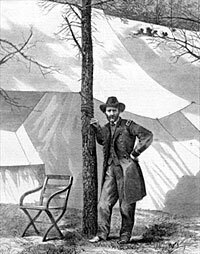 Meade was as irritable as Grant was phlegmatic. Nevertheless, the two generals were a good team. Although Lincoln had confidence in Grant, he worried in 1864 that the general might harbor presidential ambitions and sent several emissaries to check on his political intentions. So much was I impressed with the importance of prompt action on the part of the President after spending a day and evening in Washington that I called on Lincoln at eleven o’clock at night and sat with him alone until after one o’clock in the morning. He was, as usual, worn out with the day’s exacting duties, but he did not permit me to depart until the Grant matter had been gone over and many other things relating to the war that he wished to discuss. 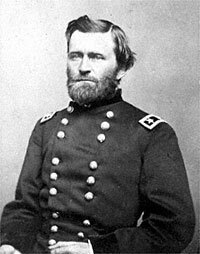 I pressed upon him with all the earnestness I could command the immediate removal of Grant as an imperious necessity to sustain himself. As was his custom, he said but little, only enough to make me continue the discussion until it was exhausted. He sat before the open fire in the old Cabinet room, most of the time with his feet up on the high marble mantel, and exhibited unusual distress at the complicated condition of military affairs. Nearly every day brought some new and perplexing military complication. 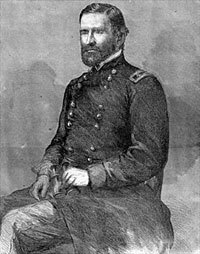 He had gone through a long winter of terrible strain with McClellan and the Army of the Potomac; and from the day that Grant started on his Southern expedition until the battle of Shiloh he had had little else than jarring and confusion among his generals in the West. He knew that I had no ends to serve in urging Grant’s removal, beyond the single desire to make him be just to himself, and he listened patiently. 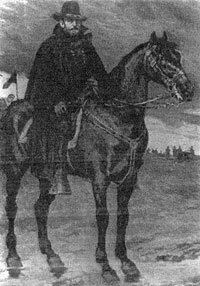 Grant had served in Mexican-American War and resigned from army in 1854 to try a series of farming and business ventures, all of which were failures. 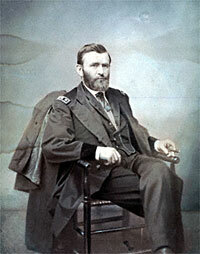 He was working as a clerk for his brother in Galena, Illinois at the outbreak of the Civil War. Grant was subsequently elected to two corruption-plagued terms as President (1869-1877) before embarking again on a series of disastrous business ventures. He never did have any luck in business. He was a far better general and writer than he was a politician, president, or public speaker. Brooks D. Simpson, Ulysses S. Grant: Triumph Over Adversity, 1822-1865, p. 215. 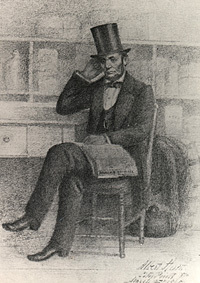 Rufus Rockwell Wilson, editor, Intimate Memories of Lincoln, p. 393. Roy M. Basler, editor, Collected Works of Abraham Lincoln, Volume VII, p. 324. Shelby Foote, Civil War, Volume III, p. 6. Isaac Arnold, The Life of Abraham Lincoln, p. 371. Bruce Catton, Grant Takes Command, p. 143. Harry J. Maihafer, The General and the Journalists: Ulysses S. Grant, Horace Greeley, and Charles A. Dana, p. 184. 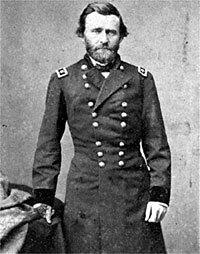 Simpson, Ulysses S. Grant: Triumph Over Adversity, 1822-1865, p. 257. David E. Long, The Jewel of Liberty, pp. 227-228. 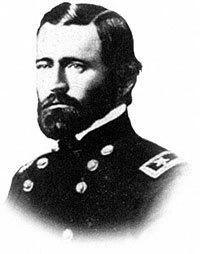 Alexander McClure, Lincoln and Men of War-Times, p. 193-194. Grenville M. Dodge, Personal Recollections of President Abraham Lincoln, General Ulysses S. Grant and General William T. Sherman, p. 20. William O. Stoddard, Lincoln’s Third Secretary, pp. 197-199. 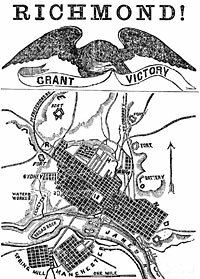 Simpson, Ulysses S. Grant: Triumph Over Adversity, 1822-1865, p. 301. Horace Porter, Campaigning with Grant, pp. 302-303. John Y. Simon, Harold Holzer, and Dawn Vogel, editors, Lincoln Revisited, p. 180 (Jean Edward Smith, “Abraham Lincoln and Ulysses S. Grant”).